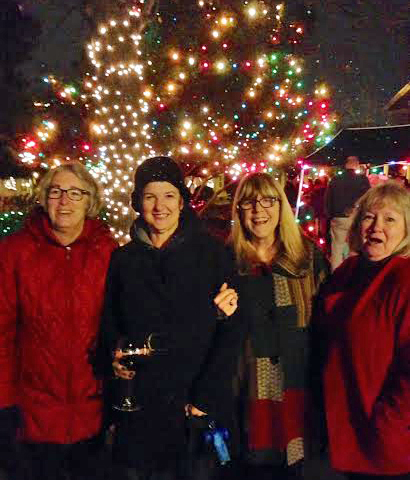 Mental Health Monday: O Christmas Tree! Continuing my series on Christmas traditions, I found this wonderful blog post by Paul Smith, “Why decorate the Christmas Tree?” One of the stories Smith shares is about Saint Boniface of Germany. 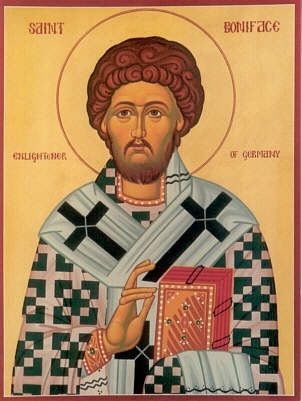 Here’s an icon of the saint. The story goes that Boniface was telling the pagan German people about Christianity in the 8th century, and to prove their gods weren’t real, he cut down a huge oak tree they held sacred, daring their gods to strike him dead. They laughed at him because he only had a small ax and the tree was tremendous, but a strong wind assisted him and it fell easily. Many who saw this converted to Christianity. To show that trees aren’t evil—we’re just not supposed to worship them—Boniface began the tradition of decorating fir trees to celebrate the birth of Christ. As an interesting coincidence, the song, “O Tannenbaum” or “O Christmas Tree,” is a German Christmas song. Whatever you believe about its origin, many people do put up Christmas trees in their homes. Growing up we always had a live tree in our den. I loved the smell of its branches and the joy of hanging all the special ornaments on it. Every year my mother would put new ornaments on some of the gifts for my brother and me, and we’d add these to the tree. 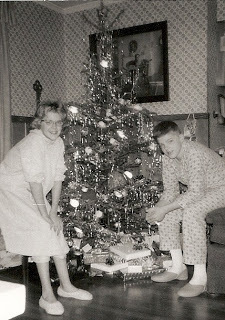 This is Mike and me in 1963, when I was 12 and Mike was 14. I continued the tradition with my own children, and when they grew up and left home I gave them the ornaments from their childhood, which I saved in shoe boxes. Now I’m giving a new ornament to each grandchild every Christmas. In our living room we also put up a (fake) white feathery tree that showed through our front picture window. 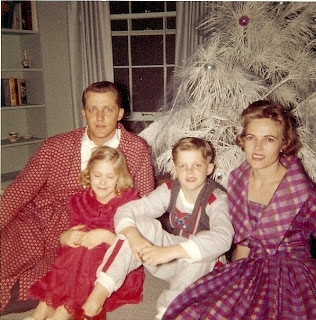 This picture of our family sitting under that tree in 1959 is one of my favorites. My mother was 31 and my dad was only 29. Mike was 10 and I was 8. 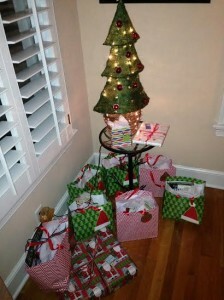 This was our “dressy” tree, not the one we put presents under. I think this was a fairly common thing in our neighborhood in the ‘50s. And now we live right in front of “Christmas Tree Park” in a neighborhood where lots of folks put up pretty elaborate outdoor decorations. And I enjoy those bunches, but I also love seeing a real tree twinkling through the windows from inside some of our neighbor’s houses. We’re not putting one up this year because we’ll be in Denver for Christmas. Well, unless you count this tiny rattan tree I got at Target and put in the corner so we’d have something to put a few gifts under. And you know what? I’m counting it. Yep. This is our tree. I’d love to hear about YOUR family’s Christmas tree traditions. Please leave a comment here or on Facebook. Thanks! And watch for a guest post to end this series next Monday, December 22.